The meteor has crashed, and Season 4 is upon us. Here’s what’s new. After weeks of rampant speculation, the mysterious Fortnite meteor has finally crash-landed, bringing with it the beginning of Battle Royale Season 4. The new season introduces big changes to the map, new skins, and much more. Here’s a rundown of everything we’ve gathered from the first day of Season 4. The most notable change to the map in Season 4 is the destruction of Dusty Depot. The biggest chunk of the meteor crashed near the middle of the map, creating a massive crater where Dusty Depot used to stand. The area has been appropriately renamed Dusty Divot. 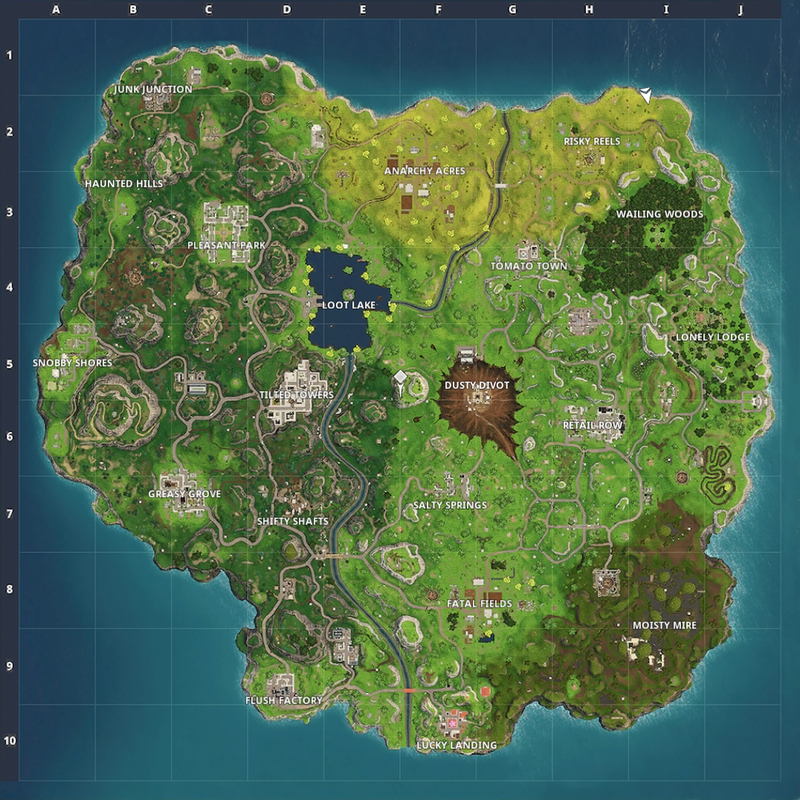 Smaller pieces of the meteor have created additional craters across the map, with some causing relatively minor damage to established areas such as Tilted Towers, the prison, and the motel. However, not every map change is related to the meteor. Season 4 introduces several new locations, including a drive-in movie theater and multiple secret lairs. Head to IGN’s Fortnite Battle Royale wiki for a full breakdown of the new map. Season 4 also introduces several new, superhero-themed skins. Click through the slideshow below to preview all seven of the new outfits. In addition to new skins, the Season 4 Battle Pass includes several new emotes, gliders, and tools. Watch the video below for a sneak peek at every new item. Shortly after the Season 4 update went live, dataminers discovered additional, not-yet-available items that will presumably be added in the near future. While item names and rarities haven’t yet been discovered, dataminers found six additional skins, three pickaxes, three gliders, and three back blings hidden in the Season 4 patch. Speaking of the patch, Season 4 introduced dozens of gameplay updates and fixes. Notable updates include the ability to destroy structures on the starting island, the prioritization of headshots when other body parts (such as your hands) are in the way, and the ability to use any emote or spray you own when in a match — players were previously limited to the six on their emote wheel. Head to IGN’s Fortnite wiki for the full list of changes. Perhaps the most exciting update in Season 4 is the discovery that Orange Shirt Kid’s dance has been immortalized in Fortnite. Orange Shirt Kid, also known as Kid_Fortnite12 on Twitter, rose to stardom within the Fortnite community following his submission to Epic Games’ “#boogiedown Contest.” While only the winner’s entry was supposed to make its way into the game, the community support for Orange Shirt Kid’s 23rd-place submission seemingly influenced the developer to add it anyway. The dance, called Orange Justice, is unlockable with the Season 4 Battle Pass or at tier 26.